UK Prime Minister Theresa May said on Wednesday she remained "determined" to deliver Brexit, hours after formally requesting European Union leaders grant a three-month delay to Britain's departure from the bloc. Theresa May has appealed to the public over Brexit, telling them she understood they had had enough, and adding: "I am on your side." 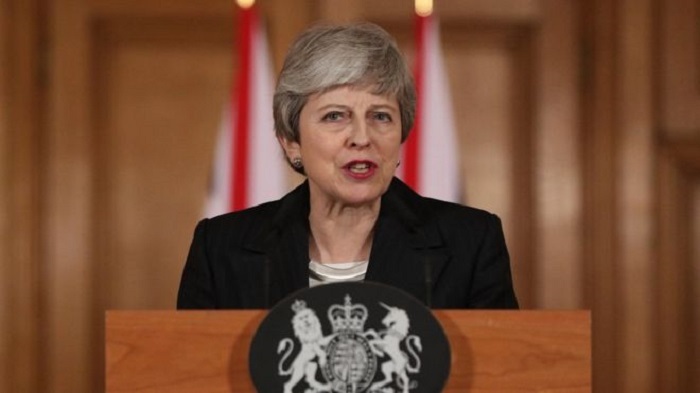 Speaking from Downing Street, the prime minister criticised the actions of MPs, saying it is "high time" politicians made a decision on the next steps. "I passionately hope MPs will find a way to back the deal I have negotiated with the EU," she said in a statement, referring to an agreement British lawmakers have already rejected twice but which May plans to put to another vote. Earlier, Theresa May wrote to EU Council President Donald Tusk requesting to delay Brexit until 30 June. She said the delay was a "matter of great personal regret".